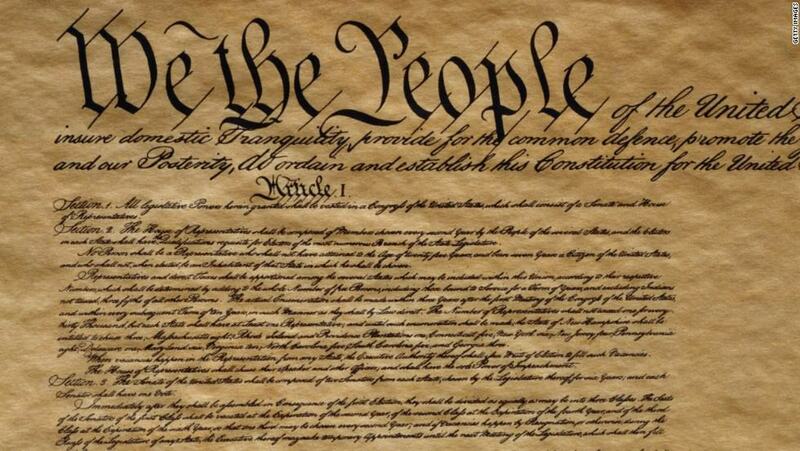 The Constitution of the United States is the supreme law of the United States of America, written in 1787. 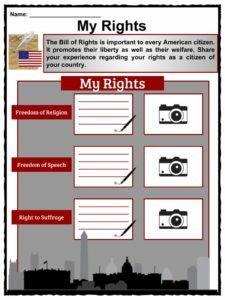 See the fact file below for more information on the US Constitution or alternatively, you can download our 22-page US Constitution worksheet pack to utilise within the classroom or home environment. The Constitution was written in 1787. 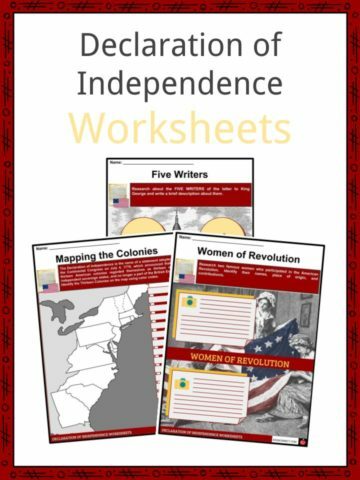 A group of men, called the Framers, met to write the Constitution. They felt a set of rules were needed to govern the country. 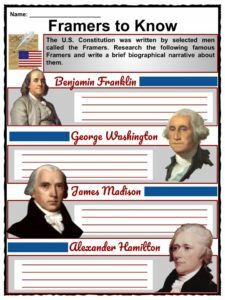 Benjamin Franklin, Alexander Hamilton, George Washington and James Madison were some of the more well-known framers of the Constitution. The Framers (members of Congress) met in Independence Hall in Philadelphia. After much debate and a great deal of hard work, they finally agreed to the words in the Constitution. After the Constitution was written, the states had to approve it. It took some time for that to happen, but all of the states finally did. 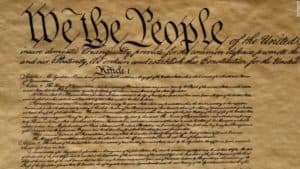 The United States Constitution divides the government into its three branches: the Executive Branch (the President), the Legislative Branch (Congress), and the Judicial Branch (Courts). The people elect the President, and the President enforces the laws. The people elect the members of Congress, and Congress makes laws. The members of the Supreme Court are appointed by the President and approved by the Senate. The Court decides what the law means when there are questions. 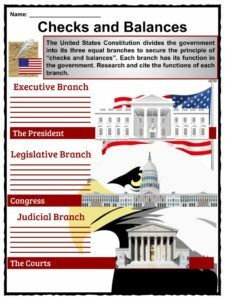 The Constitution describes the different powers given to each of these branches of government and talks about how they are supposed to function and work together. The Constitution made sure that no single branch of the government could have too much power. This is called a system of “Checks and Balances”. The Constitution also outlines the procedures for going to war. It states that the President becomes the commander-in-chief of the country’s armies in a time of war. 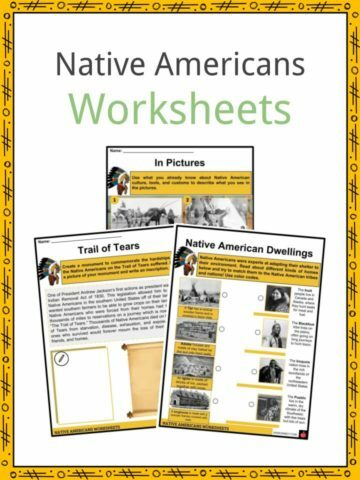 When the Constitution was written, the Framers knew that future generations would want to make changes. They wanted to make it possible to change the Constitution without needing to resort to revolution. They wanted to be sure the process wasn’t too difficult or too easy. To address this issue, the Framers added an amendment process. An amendment to the Constitution is a change that can add to the Constitution or change an older part of it. An amendment can even overturn a previous amendment, as the 21st did to the 18th. There are a few methods to amend the Constitution, but the most common is to pass an amendment through Congress on a two-thirds vote. 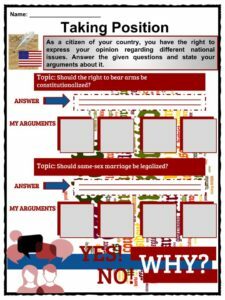 After that, the amendment goes to the states and if three-quarters of the states pass the amendment, it is considered a part of the Constitution and has been ratified. 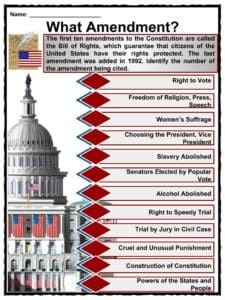 There have been 27 amendments to the constitution. The actual United State’s Constitution was adopted on September 17th, 1787, in Philadelphia at the National Convention. The father of the Constitution was James Madison, who later became a U.S. president. The original Constitution actually had a clause stating that slavery would be abolished in twenty years after its signing. 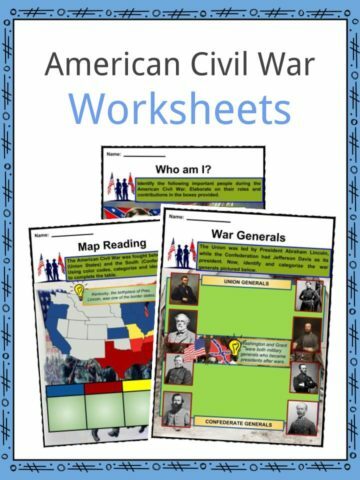 The fact that this issue was not quickly resolved might have led to the civil war. 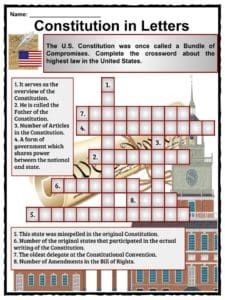 This is a fantastic bundle which includes everything you need to know about US Constitution across 22 in-depth pages. 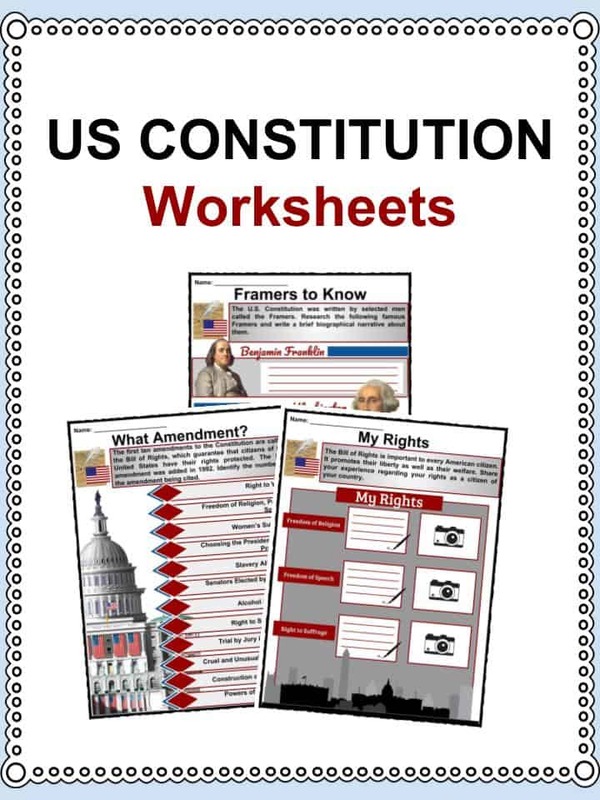 These are ready-to-use US Constitution worksheets that are perfect for teaching students about the Constitution of the United States which is the supreme law of the United States of America, written in 1787.